People at commercial facilities often call in and ask us “How often should I have my windows cleaned?” MTO Janitorial will give you some things to consider when making the decision of how often to clean the windows in your Prescott commercial facility. The appearance of your facility often creates a first impression of your business in the mind of your potential customer. Have you ever driven past a commercial building and noticed dirty, dusty windows? It can give you the impression that the business isn’t doing well or just doesn’t care. Don’t let that happen to your business. It is important for businesses to keep their windows clean. Some windows get dirtier more quickly and more often than others. This calls for greater frequency of professional cleaning for certain windows. Weather. 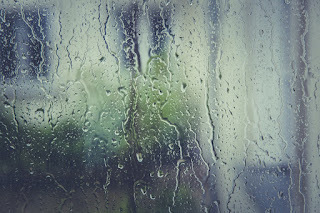 If it rains often, or if storms stir up leaves and debris, you may want to call a good commercial window cleaning company more often. It is important to remove dirt and mineral deposits left by water. Location. Windows on facilities close to busy streets and highways get dirty much faster than those in quiet areas with less traffic. Structure. Some architectural features, such as inset windows, are more prone to collecting dust, debris and grime. Landscaping. If your building has trees that drip sap, or is beside a parking lot, you may need more frequent cleaning. MTO Janitorial hopes these thoughts about how often to clean windows in your Prescott commercial facility have been helpful. If you would like to have your windows cleaned by the professionals, leaving you more time for your customers, call MTO Janitorial today. For a free consultation and estimate call 928-772-0004.